Despite the enlightenment given in schools, Identifying colors remains difficult for a lot of people. The inability to identify colors can be as a result of many things. Some people may lack knowledge of the color's name; others may be color blind, while others may be entirely blind. Whichever category you fall in, Color identifier apps will undoubtedly be of help to you. In this article, we explore a list of best color identifier apps for Android and iPhones. Color Grab is an app designed for users who have problems identifying colors. It has an inbuilt feature that recognizes colors, as soon as you point your camera at the object. The color grab app was designed to suit the needs of designers, artists, professionals, developers and color blinds. The Color Grab app features real-time color measurement (color metering), color recognition (color-2-name), custom white balance, color platelets, and harmonies themes generation tool, color blending tool, tune too, color-locking indication and lots more. Color Meter lets you identify apps with ease. It is an app that lets users make use of live colors around them. Once identified by the app, these colors can be used as wallpapers on smartphones. Once the color has been detected, the app will display the RGB version of the identified color, as well as the hexadecimal (HTML) color code, that can be used in graphics or web design. The Color Meter app features a live color analyzer, white balance, CMY model, color palette, a built-in flashlight and lots more. 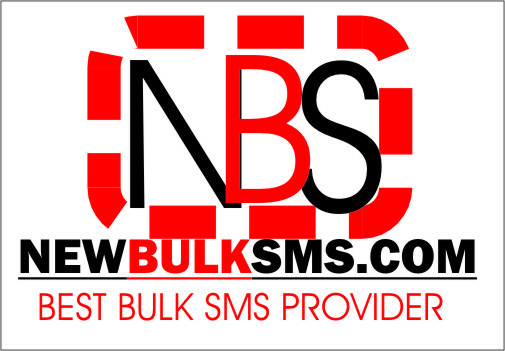 This app is available only on the Android platform and can be downloaded from the Google PlayStore. Developed by Masao MIYAKE, Examine clothes Color is an app designed to help visually impaired persons. It allows visually impaired persons to choose colors by themselves. Using this app, you are required to take photos of objects you want to inquire about their colors. The photo is taken using the in-app camera. After the photo has been taken, the color will be vocalized to you. The color included in clothes is expressed by up to 4 colors. The pattern is expressed by a category of 5, vertical stripes, horizontal stripes, checker, plain color and lots more. This app is only available on the iOS platform and can be downloaded from the apple app store. Swatches is a color picker app, famous for its fidelity in telling colors. It helps users identify colors seamlessly. Swatches support both manual white balance and exposure for maximum accuracy. identifying colors with the Swatch app is a very easy thing to do. All you have to do is take a photo of the object bearing the color you want to inquire about. After which you are to import the photo to the Swatch app. Colors identified with the swatch app can be viewed as RGB or Hex. The swatch app also lets users see the nearest paint and Pantone colors. The swatch app is only available on the iOS platform and can be downloaded from the apple app store. As its name clearly depicts, the color detector app is an app that makes detecting colors very easy. It was designed to help people who find detecting colors difficult, to recognize colors in real time. It is a useful tool in the hands of people who are color blind and visually impaired in general. Using this app, you are required to take a photo of the object bearing the color you want to detect, after which the result will be presented to you. This app provides color information in RGB, HSV and HTML notation. Colors identified will be vocalized. The image color identifier app is an app that is used to identify the colors in a photo. It provides all the color codes, of the colors in the picture. Using this app, all you have to do is take a photo with your gallery and then import the photo taken to the app. After which the app will provide information about the color, searching through its bank of 1500 different colors. This app can be downloaded from the Google Play store. Still, on the topic of best color identifier apps, the color identifies app is yet another awesome app, used to identify a color. Its name says its all. It was designed to help people recognize colors faster. Its mode of operations is similar to the already mentioned ones. This app is available on the Google Play store for downloads. It is an Android exclusive app. Color detector app by Rameltec, is one of those color detectors that vocalize color identification results. It was designed to help the visually impaired identity colors easily. This app houses an inbuilt camera. To identify colors using this app, you are required to take snapshots of the object, after which the app will identify the colors. The camera app features a flash, allowing users to identify colors in the dark and in the light. The color picker app is a unique color identifier app. It has a built-in mechanism, that lets users identify colors, by tapping on different parts of the photo. Color identification results are presented in Hex code, RGB values, and RAL System code. The Color picker app is exclusive to Android and is available for downloads on the Google PlayStore. Last but not least, the color identification app by max-invest, is yet another app, that lets visually impaired users identify colors. It working principle is similar to that of the already mentioned apps. It lets you import photos containing the colors you want to inquire about, after which, the app detects the color. There you have it – the best color identifier apps for Android and iPhones. If you have other recommendations, feel free to drop them in the comment section below. Strangers or even people you know snooping through the apps on your iPhone, iPad or iPod Touch can be disgusting. Ensuring the apps are hidden via methods like parental restrictions or removal of the app are very extreme and time-wasting ways to get this done. An easy way out is to simply hide the app in folders among other apps. This makes it difficult for someone to locate the app unless they allocate gigantic hours searching for it or are aware of what exactly to search for. It also ensures no one really suspects you like when you make use of a lock or passcode. It functions for all iPhone generation. 1. Find the app that you wish to hide. 2. Press and hold the app until it enlarges. 3. Move the app onto its own screen. 4. Get the app hidden on a screen by getting it surrounded with other apps. 5. Get the app hidden in a folder for more privacy. 6. Give the folder name. Pick the name correctly. 7. Get the screen filled with folders of various apps to ensure the app is even deeper. 8. Tap the home button to lock everything in place. Press and hold the app until all the apps wiggle. You will also notice an 'X' on the top left corners of the apps. The app will increase by about 25% larger than its regular size. As you press down the app, get it moved to the right edge of the current screen to move to the next screen. Do not stop moving it to the new screen until it is on a screen by itself. You are allowed to go all out to 15 screens if you use iOS 7 and later while 11 screens is for iOS 6 and older, but when you press the Home button to lock your app in place, the app immediately gets moved to the next screen that follows the last taken screen. For instance, if there are three taken screens, even if you move an application to the last page, it will instantly be moved to the fourth screen when you lock the apps in place. Still, on the tutorial on how to hide apps on iPhones, With other apps still wiggling, get the app you wish to hide surrounded with random apps you really do not make use of. The more full screens you have, the more difficult it will be for just anyone to locate the app. You can fill up to 15 screens with applications for iOS 7 and later or up to 11 screens for iOS 6 and older. Your screen size will determine what each screen can hold. While the apps are still wiggling, drag any one of them and have them placed directly on top of another app. The two apps will be moved into on box, creating a folder. The app beneath will flash twice, and then a folder will open up. Keep dragging other applications into the folder. You will need the secret app to be at least on the second page of the folder. Each page of a folder will show you nine different apps. Each folder can hold up to 135 apps for iOS 7 and newer, about 16 apps (for iOS 5 and 6), around 12 apps (for iOS 4 and older). Once more, the higher the number you add to a folder, the more difficult it will be to locate the app you are hiding. Pick a folder name that will not be too obvious so no one has an idea what is hidden in it. To get a folder renamed, click the 'X' on the right side of the top bubble. This will open up the keyboard. Type in any name that will give out no clue to a potential intruder. Ensure you create folders and apps that intruders will encounter to locate the app you want to be kept away from them. It'll be that much difficult if you filled all the potential screens with folders, each with several apps, depending on your phone's memory. After you might have carried out all the steps as outlined in this article on how to hide apps on iPhones, the final step is to press your home button to lock everything in place. There you have it – A comprehensive tutorial on how to hide apps On iPhones, iPads or iPod Touch. If you have questions concerning this tutorial, feel free to drop them in the comment box below. This application is brilliant for the provision of a workspace for saving and organizing notes, task lists, and random ideas. It can be used to manage tasks, presentations and institution projects. Even if you do not have the hours to type, you can have a note stored via voice memos, photos, and more. It is available on Windows, Mac, iOS, and Android. It charges nothing for a free plan buy you get to pay something to upgrade your plan. This is the ultimate time management app. Do not forget that the milk affords adult students the opportunity to add assignments and prioritize when coursework ought to happen. Huge tasks can be broken down into little subtasks. Your task list is even customizable for work, school, and home, plus you can set a reminder anywhere through your email, SMS, Twitter, and other mobile applications. 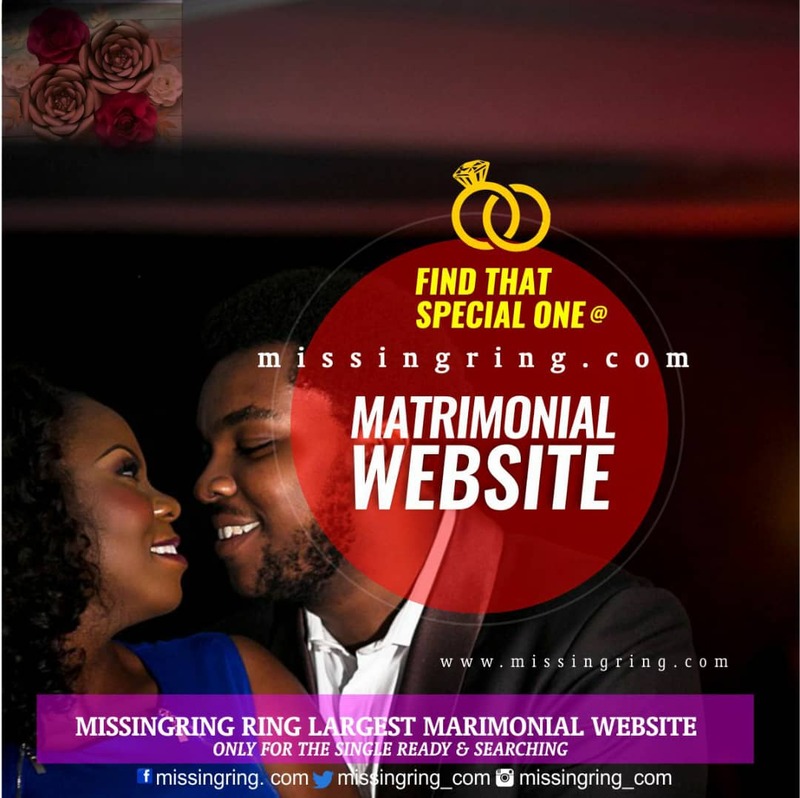 It is available for the web, Mac, Windows, Linux, iPhone, Android devices and tabs e.t.c. There is a free and premium version. This is a desktop app that you do not pay for. It aids the improvement of your focus and productivity. The app utilizes the Pomodoro technique, a well-known management technique that will split focused work sessions into achievable 25-minute intervals a.k.a pomodoros. Each interval gets separated by a 5-minute break that lets you get your focus before starting our work again. The app can be downloaded in less than 60 seconds and opened in your desktop. It helps to get things done. You can set up a list of tasks, and the period in which you want each of them completed. With a timer set, you are aware of when to move on to the next task. The display is a bit small but you still see all you need to as you use the app. Syncing over iCloud is possible plus it has smart time functions. Just add a list of things you want completing, give everything a set time, the app then monitors things for you and when the time is up, you get notified. You get to take charge of your life with this app. It also syncs smoothly across all of your devices, ensuring your to-do list can be accessed at all places. You will always remember all you should not forget plus your progress gets monitored. This app also possesses lovely themes and remarkable features. There is a hundred percent guarantee to save time with this one. This application is great for helping students stick to the timeline set to complete a particular project. It is simply a to-do list with steps, and you even get rewarded for wrapping up a step early enough. There are free samples and trial offers included in it. You get to track your project and get reminded when you have to. It is a remarkable tool for procrastinators. This app allows you to manage your tasks differently. It is easy to work with and its features are very vital to achieving your daily goals. Unlike other time management app, you are not compelled to adhere to a specific task management method. It is free and it works offline. You can create simple tasks with markdown, attachments and several alarms. You also get to conveniently see upcoming, starred or scheduled tasks. It can be synced in CalDAV (iCloud/Fruux/Fastmail and so on. ), Dropbox or Toodledo. 2Do works across Android, iOS, and Macs. There is password protection for tasks if you choose to use it plus locations can be attached to tasks so you receive reminders when you are close to these locations. There you have it – a comprehensive list of best time management apps for students. If you have other recommendations, feel free to drop them in the comment section below. The feature that stole our hearts was definitely the system-wide dark mode to the OS. This dark mode applies to the settings menu, launcher, notification shade, and other UI elements. The dark mode can be permanently turned on or automatically switched on at specific periods during the day. To turn heads, you can even force dark mode for apps that do not support it. A dark mode on an Android is long overdue. Helping to decrease glare at night and boost battery life on OLED phones is key for users. But the company has teased potential customers for long and failed to provide it, so chill until it happens. In Android Marshmallow, we sure noticed an overhaul of Android permissions, and this routine continues to be the foundation for Android Q. But things might be about to change, as users can now reportedly ensure that an application is only allowed to make use of particular permission when the app is running. This is massive for privacy-focused persons or users that want great battery life. Phone owners can decide to allow an app to use location permission while running or permanently. Another brilliant inclusion is a brand new status bar icon to allow users to realize when an app is using the camera. Samsung and Huawei have taken care of offering desktop modes recently, and we must admit, it is a remarkable idea. When you connect your mobile device to a larger display, the UI transforms into what looks like a desktop computer. That means a PC-like home screen, a start menu, resizable app windows, and the ability to make use of a keyboard and mouse. Investigations by XDA has revealed that the Android Q will delve into the world of desktop mode as well. It might be the exact same thing Samsung and Huawei provides, or it could be a step up from that. Smart Lock was brought to the world by Google when Lollipop was buzzing, and it helped to keep our smartphones locked when we were far from it. The feature was also useful in aiding us to unlock our phones according to our location. The early version of Android Q has revealed two fresh additions to Smart Lock. One allows you to use Smart Lock to extend the unlock period of your phone and the second will lock the device when the trusted companion device does not attract trust anymore. In addition to the security measure spoken about in number 4, there will be facial recognition too. Androids are known with camera-based face to unlock but this time around, there are some additions. Error messages that are displayed when a smartphone does not have facial recognition hardware. Also, you will require this new type on facial recognition to unlock your smartphone, purchase items and get yourself logged in to applications. Screen Recording in Android will attract no breaking news, we are used to it, thanks to third-party OEMs like Oppo, Samsung, and Huawei. Sadly, stock Android does not possess the feature, but Android Q is finally offering it. 9to5Google is reporting that the soon-to-come update will provide native screen recording. The feature will repeatedly request the appropriate permissions when you first try to attempt it. It is also likely that you will get to record a voice-over to go with your video clip. Are you fed up of pixel users enjoying all the goodies as regards Android previews? Google feels your pain and opened Android Pie previews on the Android Q. Android engineer, Iliyan Malchev recently disclosed to Android Developers Backstage Podcast that more manufacturers will aid the Android Q beta program. He shared that the number of OEMs that will partake is larger for the upcoming release, but he did not expatiate. XDA found out that Google might have in their plans to ridicule developers that do not update their apps. This ridicule will be in the form of a notification, letting phone owners know the app they are set to run has not been updated and might not function properly. Do not bother though, as the alert will only focus on apps that are yet to be updated since the Lollipop era. Also, Google will not actually prevent you from launching these apps. 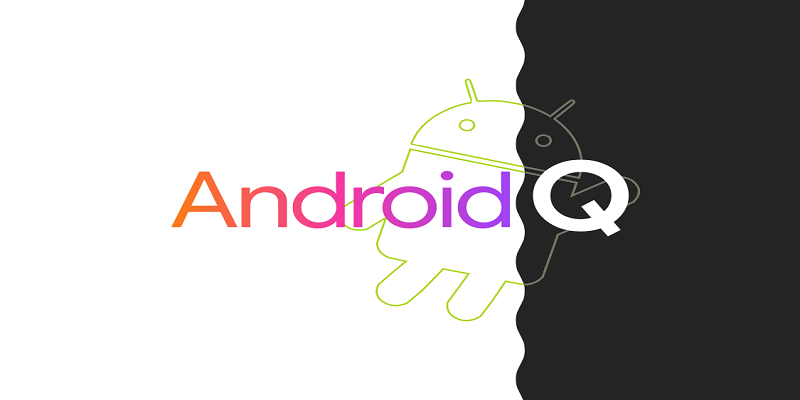 A possible pair of fresh Android Q features aimed precisely at the development community were discovered by XDA developers as well. A.K.A Dynamic Android and Android On Tap, this feature will raise Google's Project Treble to a greater height, letting developers to seamlessly flash various ROMs on one device without needing to unlock the bootloader or perform a data wipe. Google is basically trying to make it simpler for OEMs to update Android. If OEMs can engage in the testing of new Android versions easily then that should make updates come at a more rapid pace. 10. Rich Communication Service For Third-Party Apps? This service is supposed to act as a successor to text messages tech. The process of achieving that is still far ahead but the next version of Android can aid adoption. Android Police saw RCS-related APIs in Android Q recently, which means that third-party messaging apps might be about to get involved as well. Sadly, reports are gathering that the functionality has been "punted from Android Q," but anything could still change leading up to the release. Google might change its mind once more. There you have it – A comprehensive list of ten awesome Android Q features. If you have knowledge of other exciting Android Q features, feel free to drop them in the comment section below. Plants vs. Plants Zombies is a popular engaging tower defense game that had gotten over 100 Million Downloads. This is an app that has had received more than 100 million overall downloads across the globe. Plants vs. Plants Zombies game was developed by Popcap's Game and published by EA Mobile for free. Certain items require in-app purchase –that's some real cash. In this article , we explore the features and we also provide a link to download plants vs zombie 2 mod. Right here, you can play the award-winning hit action-strategy adventure with much ease. Not only are you going to greet, meet, and defeat a battalion of chucklesome zombies from the dawn of time, to the end of days, but also get the perfect recipe for Mods+Unlimited coins. There is quite an array of the army from stunning plants; energize them with Plant Food, and strategies to get the ultimate plan to protect your brain. If you've been spending your real money on doing all those mentioned above, I highly recommend our mods+Unlimited Coins can save you a little fortune. Now you can enjoy the unlimited experience this game for free –freedom to purchase any item. The storyline has always been the same. As the zombies attack the city and proceed to your house with the desire to eat your brain. 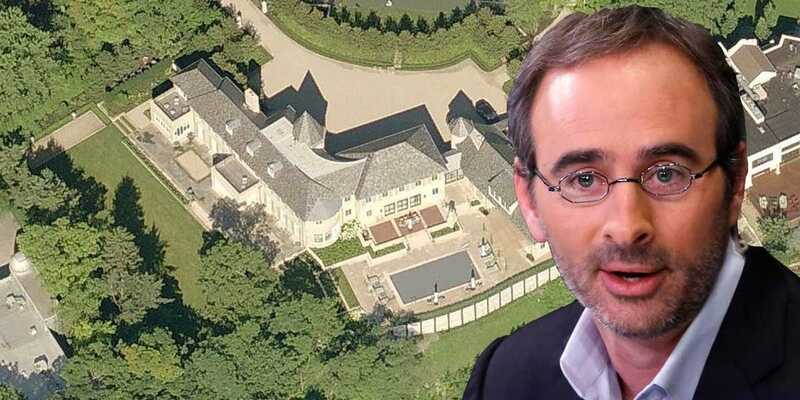 As the owner of the property, you must take the bull by the horns by planting individual crops to kill the zombies before they get their foot in the door. In a nutshell, you accidentally get lost in the past, and finding yourself in Ancient Egypt; you figured ten keys across space, that brought you the whole house to many different fields in the past and future like. Engage in blood and guts fight with tons of zombies, strike ferociously from a lot of different regions, and victimize more new plants and powerful new zombies. Therefore, thrive through each door to get to the next door and unlock new crops. Collect your desired lawn legends, like peashooter & sunflower, alongside hundreds of other compelling horticultural hotshots like Laser Bean and Lava Guava. Go toe-to-toe with a gigantic array of zombies at every side just like Mermaid Imp and Jetpack Zombie. Most importantly, protect your brain from uncontrolled Zombie chickens. Go tooth and nail across 11 crazy worlds, from the cradle of Ancient Egypt to the Future, and explore beyond that. There are more than 300 levels to reach, ultra-challenging endless zones, fun mini-games to keep you addicted, and of cause, daily Piñata Party events. Lastly, there are new challenges to be finished. If you're frustrated on where to go next, you can easily consult your Travel Log to quickly advance on any Quests. Beat the clock and complete Scheduled Quests before the time elapses, also take on tones of epic quests and earn unique rewards. Gameplay is more Intense action than Ever! The higher you go, the hotter it becomes, In the previous version –version 1, what is required of you is only the need to kill all the zombies then you've won –able to cross the stage. But in version 2, more is expected of you. You're supposed to do more than just killing all the zombies. This alone makes it more brutal for gamers and heighten intense action in the game. There're more engaging things involved now. Secondly, each stage is usually on a map; this allows you to know your position and the position of your target. The gameplay of Plants vs. Zombies 2 surpasses the previous version. Version 2 is much more attractive; there are featured trees that also have their own "killer" skills. Set to impede certain movement. Also, players can gain magic clover. Furthermore, the game shall provide you with supported skills in three types; Freeze, Shock and throw. These skills are constructive as such can't be collected, but you can spend some coin on the purchase. The graphics of Plants vs Zombies 2 is insanely breath-taking. There are masterful working with bright colors and vibrancy. This recent version is more impressive than the first version. Moreover, lots of people have a preference for the second version over the first as well as many new effects appear going alongside these versions. The movement has never been so smooth and real. There're no opportunities for lag when playing. In addition, there has been more fun than ever! Plants vs. Zombies 2 incorporates lots engaging war music that puts you in battle mode. One interesting thing about this game is, each land that you step foot on has an appropriate sound that makes players feel more thrill when fighting. There are many vivid sounds in the game such as shooting bullets, zombies eating, etc. Plants vs Zombies 2 is a simple fun game that has many different Version that incorporates new plants and new zombies. Plants vs. Zombies 2 is a comic game of defense. You have to responsibility of protecting your house against zombie attacks. You'll be needing tons of coins to grow your Zen Garden and to get more rewards in a much easier way. Firstly, you have to install Apk. Thirdly, you're free to play and enjoy the game. Are you ready at your best defenses, because Dr. Zomboss is waiting on you on the other side? All you have to do is follow the steps list above to download the Plants vs zombie mod 2 Don't forget to drop comments below. 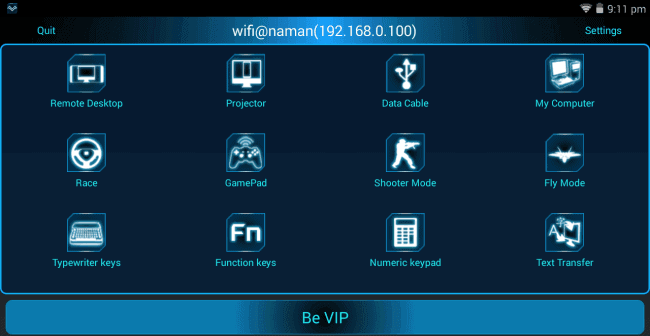 This is an Android app that makes use of Bluetooth or WiFi to control your PC, with a remote that has several amazing features. Apart from its keyboard and mouse, there are programs like Powerpoint and Excel to do and undo with. The application utilizes the Remote Desktop feature to allow you to see the home screen of your Windows 10 system. There are also over 25 console games that you can play via the touchpad. You should expect various layouts for gamepads, which allows you to create your own game. This application transfers your PC to your mobile device and allows you to control it from there. It is accessible via a remote, plus you will require a Google account to enjoy the features of the remote. One amazing feature of this application is Screen Sharing. It is a very useful app that is practical and easy to use. It can be used alongside a touchpad, just like on your smartphone, or you can buy a mouse if you prefer it. Just ensure you are signed in into Google Chrome with your Google id. One of the most used Android apps. It functions via WiFi, and needs your system and mobile device to be connected to one hotspot or router – this can be done by scanning a QR code, or requesting for a PIN, to have the two linked. 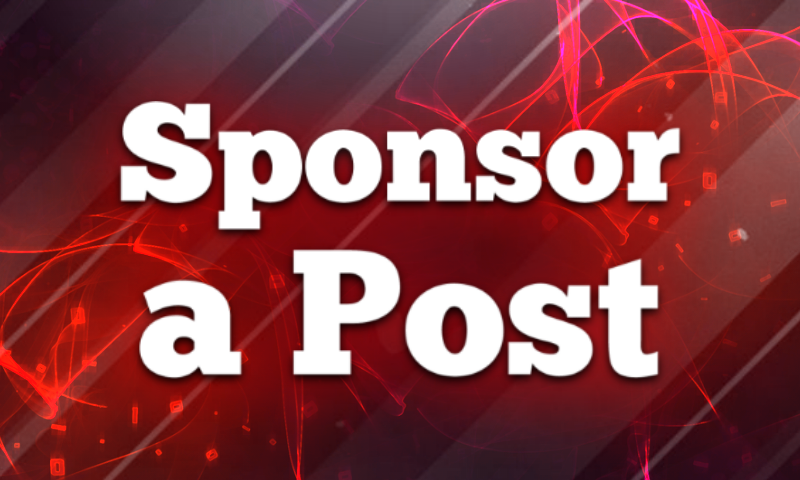 Installation of Java on your system is needed with this application. It is a very responsive gamepad and mouse, and it also allows you to make use of apps like Media Player and Adobe PDF that function on the desktop. Another app with several users. It also has a desktop version that allows you to use one PC from another. The app works via a remote and also aids the simplest file transfers plus supports more than a single monitor. The IT sector must be familiar with TeamViewer, Android, and the desktop version. 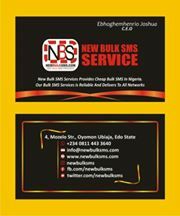 It is dependable and responsive. 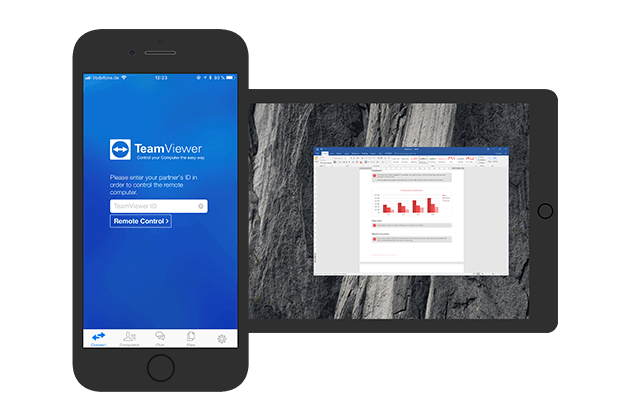 You can make use of your TeamViewer user ID and password to link your mobile device to your computer through TeamViewer. This is a remote-control based app from the producers of VNC, it allows you to access the screen of your personal computer. It is used commercially as well in workplaces and several workers in the IT industry depend on it for off-site jobs via their smartphones. Their latest version dropped recently. There you have it – a comprehensive list of best Android remote apps to control your pc. If you have any other recommendations, feel free to drop them in the comment section below. 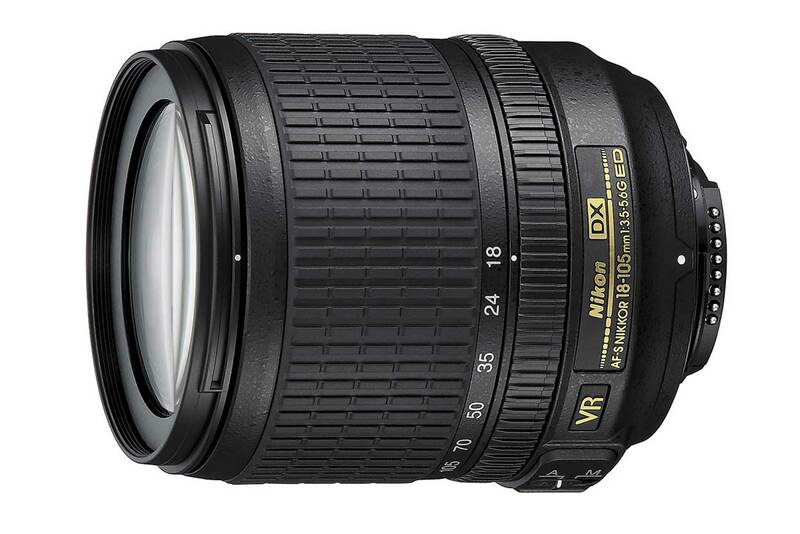 This is one of the very best out there when it comes to the best lenses for your Nikon camera. It combines affordability and quality perfectly. This lens is actually better than lenses like Nikon 14-24mm f/2.8G ED and the Nikon 70-200mm f/2.8G ED VRII as regards technical specifications and both lenses are even more expensive. If you are just starting out in the photography business, you might be letting go of the comfort of a zoom lens. Fair enough, but as soon as you mount a prime lens to your camera body, you will know its effectiveness. It is very sharp when you compare it to other lenses that go for its price. Its lightning-fast f/1.8 maximum aperture also makes it a great option for low light situations. It is a beast of a lens that you will not regret going for. Superzoom lenses are not really appreciated but they have their own good sides. They are very comfortable to use and they preserve your precious time. Anything can be captured from a wide-angle view to a far mountain with such a huge focal range. It is cheaper than its closest rival but still possess the same quality. It weighs only 400g as well. It is massive for family days out and holidays. This option differentiates more serious-minded cameras from the consumer packages, which requires a dedicated macro lens. 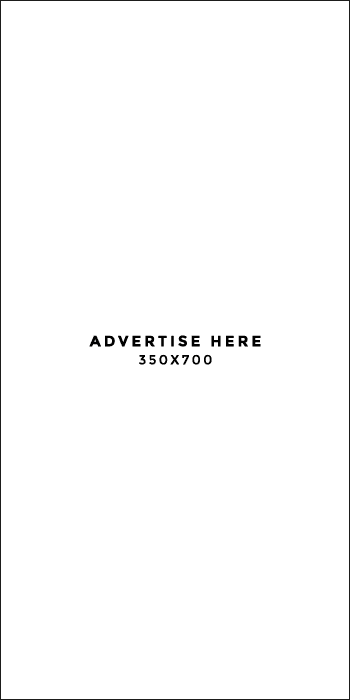 If you fancy shooting the globe according to ants the Sigma 105mm f/2.8, this is the option to look at. Its price is decent enough and it provides 1:1 magnification ratio, amazing photo quality and lots of beautiful features to make things simpler for you. Image stabilization for lower shutter speeds and a quiet autofocus motor are also present to prevent chasing little animals you are monitoring away. The Sigma 105mm f/2.8 is affordable but comes with various features that will make you smile. It is amazing for landscape photographers. It provides you with a super wide angle view on full frame cameras. Its photos are remarkably sharp all through its frame and apertures. The wide maximum aperture of f/2.8 is great for astrophotography lens also. There are other added features like the Extra-low Dispersion glass and the Silent Wave Motor autofocus system as well. It is expensive though but as long as you are a fan of wide-angle photography, you will fancy it. Should be part of the lives of all professional photographers. It provides various focal range that caters to portraits, candid wedding shots, wildlife, and distant landscapes. Also, its f/2.8 maximum aperture offers great low light potential and selective focus that is massive for wildlife and wedding photography. They are quite heavyweight though but still ideal in all photography situation. It has a decent price as well. 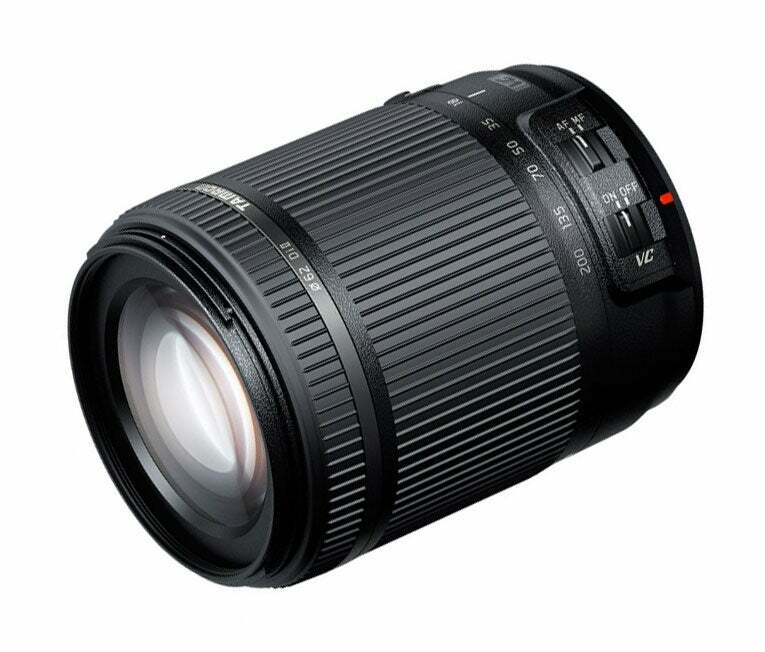 Tamron SP 70-200mm f/2.8 Di VC USD G2 is actually the best quality 70-200mm that cash can buy. Its length is not as vital as what it can do when it comes to the creation of a 1:1 magnification of subjects. It is portable and light. Its portrait lens is quite sharp and it offers a brilliant level of detail when objects are closed upon. A microlens allows you a variety of small objects to photograph. With a general range of 70-200mm and a maximum aperture of at least f/4, you have several distances to work with and decent depth to focus on your objects. If its a more rapid object, a bigger aperture will let you shoot at a quicker shutter speed which can aid the capturing of birds, sports e.t.c. Distortion is a non-issue here and it narrows the angle of view to fill the frame with your subject. When it comes to APS-C cameras, the 18-50mm range is most appropriate. For 35mm format cameras, a 24-70mm will be just right. This allows you to go fairly wide even as you zoom into objects from a long and far distance. A fixed f/2.8 should be quick enough to grant you better control over depth of field. It is awesome for users that are not really certain about what they intend to shoot. This lens will let you focus manually. It also helps you to try traditional focusing methods for landscape and street photography, like setting the hyperfocal distance and "zone focusing." Its smart design and high-quality glass also assist with the amazing photo quality you desire, and the nanostructure coatings present, ensures ghosting and flare are kept to the barest minimum. Our preferred telephoto zoom was formerly Nikon AF-S 70-300mm f/4.5-5.6G IF-ED VR but the lens no longer exists and Nikon is here with a more costly replacement that offers greater build quality and image quality, plus is more affordable than the new FX-format lens. The ring-type ultrasonic autofocus system is rapid and silent, and its sharpness and contrast are very decent all through its entire zoom range, even if sharpness reduces at 300mm. 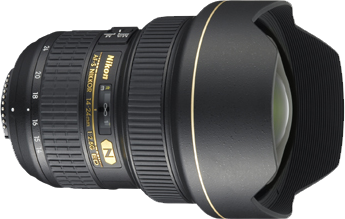 There you have it – a comprehensive list of best Nikon lenses every photographer should own. If you have any other recommendations, feel free to drop them in the comment section below. This is a beautiful game reserve. It is a Northern extension of the Serengeti and it serves as a wildlife corridor between Tanzania and Kenya. It is named after people of Maasai who have homes in the park and graze their animals as they have done for several years. In the Kenyan language, Mara stands for "mottled." The park is known for being the venue of the Great Migration, when several wildebeest, zebra, travel to and from the Serengeti, from the seventh month of the year to the 10th. The Maasai Mara National Reserve is popular for offering marvelous predator sightings, due to its huge population of lions, cheetahs, and leopards. The weather is gentle throughout the year. This reserve is crowned by Mount Kilimanjaro. It is one of Kenya's most famous tourist parks. "Amboseli" means "salty dust," which is a Maasai word, it describes the reserve's parched conditions. If you want to view elephants and see them close enough, this is the place to be. You will also see big cats like lions, cheetahs, giraffe, impala, eland, waterbuck e.t.c plus various types of birds. There are several types of habitat, ranging from wetlands, Savannah, to woodlands. This is Kenya's largest park. Tsavo is divided into two parts, Tsavo West and Tsavo East. Bring the two parts together and they are 4 percent of Kenya's total area and even surround rivers, waterfalls, Savannah, volcanic hills and a remarkable variety of wildlife. This park is popular for its beautiful view of massive elephant herds having fun in the red dust. The Yatta Plateau is also available here and it is longest lava flow worldwide. Tsavo West is less dry though. Some of its amazing spots include the Mzima Springs, which is lots of natural springs with high numbers of hippos and crocodiles and the Chaimu Crater, a decent place to view all kinds of birds. This reserve is in the remote north of Kenya. The movie "Born Free." displayed this park. Every single wildlife occupying it depend on the waters of the river to stay alive and several species are not strangers to the dry conditions. These species include Somali ostriches; gerenuks and antelopes. There is also a decent spot for entertainment named the Sarara Singing Wells. Here, Samburu warrior belts out songs as they fetch water for their cattle to drink. Expect the view of big cats and wild dogs too. You will get tired of the number of pink flamingos here as they are so many. The park began to exist in 1961, and over 450 species of birds have at one point or the other, stayed there. Lions, leopards, white rhinos, pythons call this park their home and you can also expect to see lakes, rocky cliffs, and woodland for your viewing pleasure. It is a UNESCO World Heritage Site and it is one of Kenya's most ancient settlement with its creation going as far back as the 12th century. From the building alone, you can see the quality trading history. Wooden doors, coral stone buildings, secret courtyards are there for you. Heading to this park is like going to the past via a time machine as donkeys are still preferred to cars here. Highly populated by Muslim, both male and female dress in traditional attire. 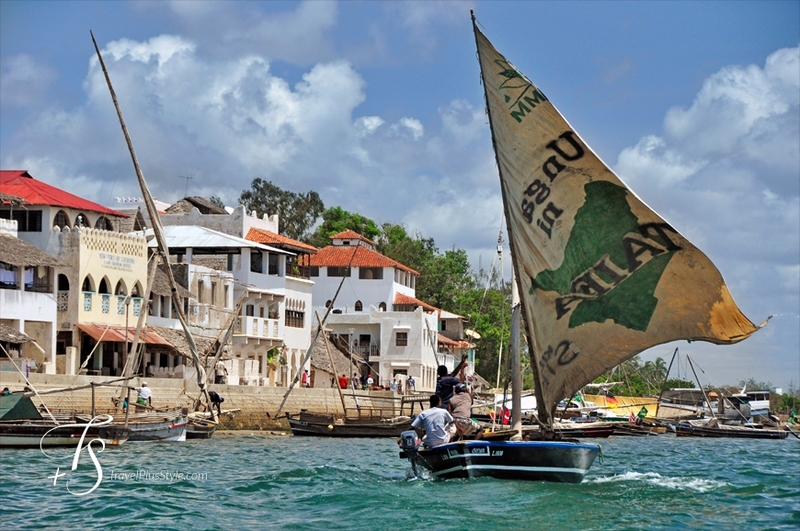 It also has a Lamu Museum, which flaunts the Swahili culture. You even get to drink Arabic coffee in any cafe you enter around there. Birds love this park. It is well known to shrink especially when the dryness experienced is extreme. It is best to have a view of its wildlife while you are on a boat. It has over 400 species of birds present, African fish eagles are one of them. Giraffes, zebras, buffalos are available to be seen too. You will need to look up once in a while because colobus monkeys just might be near you. A cup of tea can be used as refreshment at the Elsamere Conservation Centre. This is Kenya's capital and it is famous for its memorable colonial history. There are lots of symbolic sites to visit plus some amazing wildlife. The Nairobi National Museum is also handy to know all about Kenya's history, nature, culture, and contemporary art. You can also pay the Karen Blixen Museum a visit. It is home to a popular Danish author, Isak Dinesen. You will be able to see sleeping lions or a beautiful sight of lovely giraffe via the golden grass at Nairobi National Park. Buffalos, leopards, zebras, hippos, elephants, and cheetahs are present. You can experience its wildlife as you trek and birders will appreciate the over 400 species of birds on display in the sky. You will be allowed to get as close to these wild animals as possible. Also make sure you visit the Giraffe Centre, where the giraffe will eat from your hands if you let them. This is Kenya's epitome of tourism. The British culture, Portuguese, Arab, Indian e.t.c. It explores the 16th-century Swahili homes, markets, and souvenir stores. Beach lovers also get what they want with some decent strands closeby. The north shore of Mombasa is blessed with lots of exciting attractions like Mombasa Go-Kart, cinemas, sports, and various restaurants. 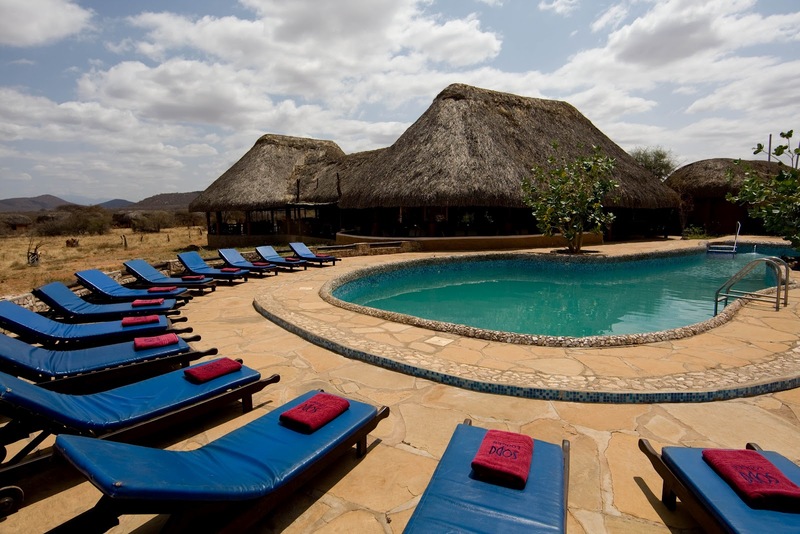 There you have it – a comprehensive list of best places to visit in Kenya as a tourist. If you have other recommendations, feel free to let us know about them, in the comment section below.